Frank Sidebottom was the unforgettable Northern folk hero with the papier-mâché head. For the first time since his death, the story of the secret life of his creator, Chris Sievey is told. It’s a compelling portrait of an artist, songwriter, comedian and wayward genius, whose entire life was a fantastic, subversive piece of performance art. EXCLUSIVE! April 18th, Fantastic Frank-a-Mania Night! 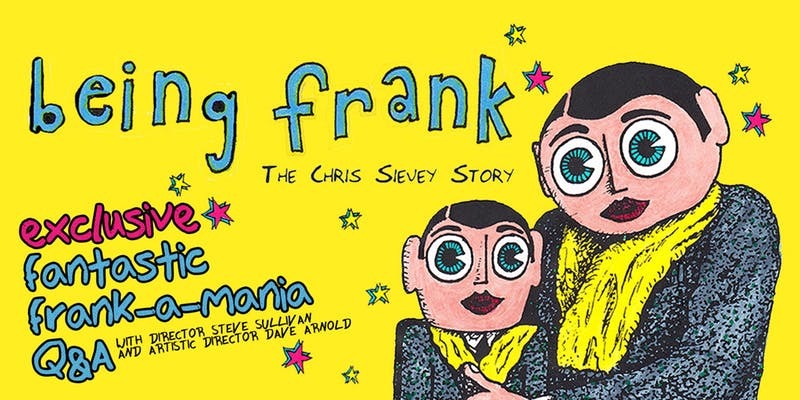 An opportunity to ask Director, Steve Sullivan and Art Director, Dave Arnold absolutely anything you ever wanted to know about Frank/Chris, in an extended Q+A after the screening. Plus some bonus footage NOT included in the theatrical release.